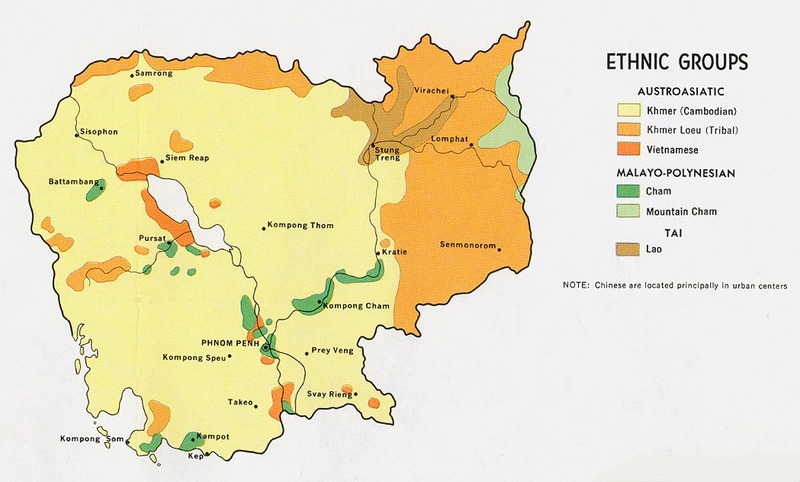 The Lao Phuan people once had their own kingdom called Muang Phuan. It was located in what is now Xieng Khouang Province of Laos. Their people were often mauled by outside kingdoms, especially by the Siamese Kingdom in the 19th century. Their people were taken by the Siamese (now called Thai) people to dig canals in Bangkok in the early 19th century. In the middle of the 19th century, armed bandits from China's Yunnan Province inflicted even more harm on the Muang Phuan Kingdom. In 1873, the Siamese army drove these bandits out of the region, but the bandits tried to return. During the course of this fighting, the Phuan fled their homeland, and the Siamese military rounded them up and drove them to central Thailand where they became slaves. The Phuan population by this time had been reduced by three-fourths, and the Muang Phuan Kingdom ceased to exist for all practical purposes. The Lao Phuan people live mainly in Laos and Thailand today, though there are also those who live in Cambodia. Those in Thailand have been somewhat assimilated according to infomekong.com. Like most peoples in Cambodia and Laos, the Lao Phuan are rice farmers. Their households raise livestock, and they supplement their diet with fresh water fish. They also raise silk worms which produce thread for the fine garments which they either wear or sell. On a social level, the Lao Phuan people try hard to maintain their traditions. The Lao Phuan people consider themselves to be devout Buddhists, but they are actually more devoted to their animistic practices. Their form of Buddhism is corrupted by their ancient religious practices. They believe there are three kinds of death, and the least desirable is death by accident or violence. They believe these premature deaths are caused by the spirits. They do not cremate such people, which to them means that the soul cannot be released to ascend to heaven or be reborn into another body. The Lao Phuan people need to be released from fear of wicked spirits. * Scripture Prayers for the Lao Phuan in Cambodia. * Pray for spiritual openness among the Lao Phuan people of Cambodia and Laos. * Pray for the Lao Phuan people to have the chance to hear the gospel in a culturally appropriate way. * Pray for a disciple making movement among this people group to transform their communities in Thailand, Laos, and Cambodia.